Let’s get to the conventional bottom line first: Conan, a staple of TBS’ late night lineup since Nov. 8, 2010, will be shrinking from an hour to half an hour at the start of next year. Otherwise you’ll see more of Conan O’Brien, if you’d like, on other digital age “platforms.” It’s a move that O’Brien has been considering for the last few years, and now TBS is finally playing along with him. Having recently turned 55, he’s not a kid anymore and is now well outside the 18-to-49-year-old audience demographic craved by most advertisers. TBS said O’Brien will be continuing his hour-long Conan Without Borders specials, which last took him to Cuba. 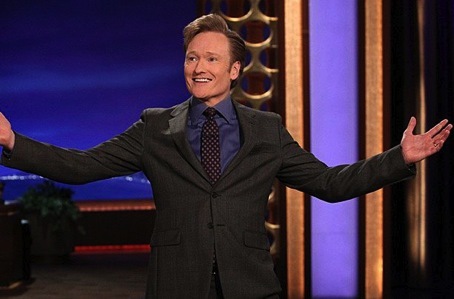 Also, O’Brien’s “entire catalogue” of Late Night and Conan shows will be digitally available on TBS. Not surprisingly, this doesn’t include his short tenure as NBC’s Tonight Show host before the network gave the program back to Jay Leno. While trying to recover from the bitterness he felt, O’Brien went on a nationwide tour that preceded his hiring by TBS. In decisions that were no-brainers since the recent starts of their second seasons, HBO has renewed Westworld for a third season while Hulu has green lit a Season 3 of The Handmaid’s Tale.